Welcome to YOUR future…. a new career in Permanent Makeup! A career in Permanent Makeup, also known as Micropigmentation or a Cosmetic Tattooing, can be your path to being your own boss! There is NO substitute for excellence, training and years of experience. There is NO substitute for integrity, honesty and truthfulness. There is No substitute for genuine caring, love, and guidance for others. Beauty Redefined Permanent Cosmetic Training Center’s intensive and comprehensive training program is one year (1) apprenticeship that includes a total 100 hours of 35 hours of pre-class home study and at least 65 hours of instructional classroom hours. We have two fundamentals classes. One for the year's apprenticeship required by the State of Tennessee and one that is 1 week long of 100 hours of lecture, pre-class study and hands on training. This apprenticeship will also include one on one hands-on training with live models from a certified artist. What are the registration requirements for apprenticeship? Class Attire: We request student’s attire be casual professional or medical (scrubs) and that students wear comfortable close-toe shoes. Camera: Students are required to begin cataloging before and after pictures (preferably with a camera with a macro setting for close up shots). iPad, iPhone or a regular camera are good for this purpose. Notebook & Pen: You will want to take notes when class lectures begin. SPCP Book & Student Handbook: You will be required to bring your book and manual to every class including procedure days. Cooperation : In most cases and because this is a year apprenticeship (1 year) and does not require an attendance of consecutive full time hours, everyone will be expected to cooperate with mandatory in class study hours. Hours may vary but will be announced in ample time if a reschedule is necessary. Missed hours can and will delay Certificates at the end of the course if they are not made up. Reschedule dates will only be at the instructors discretion. Additional funds may be applicable for additional time over the apprenticeship year. Lunch & Breaks : You will be required to furnish your own food and drinks for all breaks and lunch. Lunch is 45 minutes so it is recommended to bring a lunch. Only water will be provided. No friends or relatives other than clients will be allowed in the training area. No loitering of anyone who is not scheduled to be on the premises. Beauty Redefined Student Handbook: This handbook will be provided upon the completion of all registration guidelines. SPCP Book & Student Handbook : These items will be provided prior to the beginning of your training after all registration requirements have been met. Pigments & Needles : Pigments and needles for your hands-on training will be provided for you along with detailed instructional guidance and charts at the time of each procedure. Equipment : All tray setup supplies, digital machines, proper forms will be provided for your use. You will only need to furnish your own camera, preferably with a macro setting. 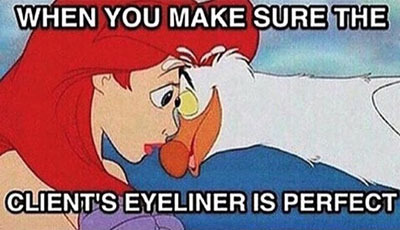 Models: You will be required to furnish eyeliner models, eyebrow models. (All models must have virgin skin application for these numbers. All models above these numbers can have prior application of permanent makeup but must be willing to sign additional consent forms accordingly.) If you are not able to find models, then assistance for a search will be provided, however are not promised. Close family members and friends are always the best to ask first! Model pricing will apply according to student experience and performance. Information for Tuition & Equipment Costs : Recommended information for financing that will allow for both tuition costs and equipment purchasing. Certificate of Completion: Upon completion of the class and taking the SPCP Exam with a minimum passing score of 80% or more you will receive the certificate of completion for your apprenticeship. Trainer Support: Every post-graduate will receive one full year of Trainer support which is beyond the one year of apprenticeship. Method of this support will be by either email, texting and/or telephoning, BRPCTC Facebook Secret Page for Students. 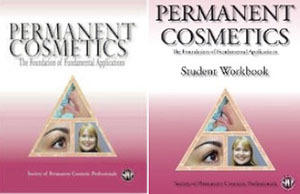 Your Permanent Makeup : Student pricing will be available for your personal permanent applications. Equipment Purchasing : You will receive special Student pricing when purchasing your own personal equipment. This exciting and lucrative career holds boundless possibilities. You will have the ability to work in many different environments and launch this new career in almost any environment. Salons, spas, tattoo shops, medical offices, and even your own free-standing permanent makeup studio. The possibilities are fabulous! Below is an example of how much you can make!